A week after commemorating its 40th Anniversary Woodstock is still making history. The sacred ground of the original arts and music festival that defined a generation has been transformed into the Bethel Woods Performing Arts Center and on August 21, 2009 one band who missed out on the party at Yasgur's Farm got a second chance to make a first impression. 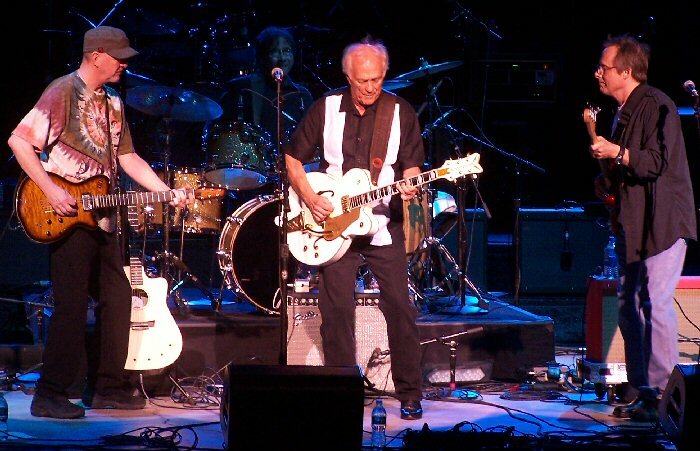 Rusty Young and Paul Cotton rock out at Bethel Woods. 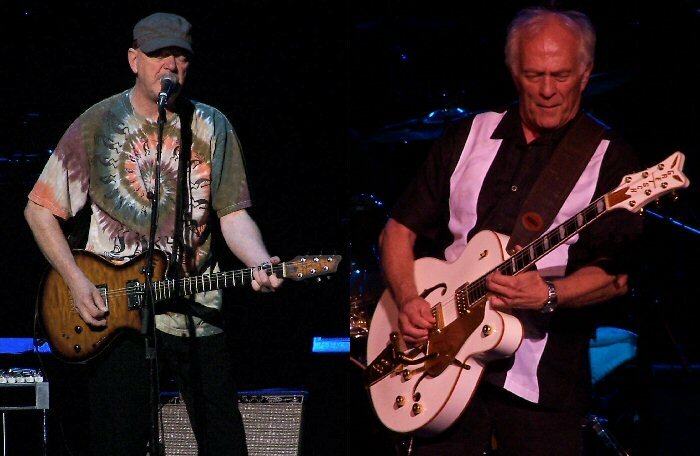 "We we're invited to play Woodstock," POCO founder Rusty Young said from the stage after beginning the first of three high profile opening slots in the region on the Loggins and Messina tour. "But", he continued, "our manager had booked a better gig for us." That better gig was a show in a college gymnasium in California and points out that the band with the horse-shoe logo didn't always have the best luck. Along with questionable management decisions the group has been snake-bit by bad record deals and numerous lineup changes over the years. In 2009, the country rock pioneers have begun making peace with their past with several notable events that have put their fans (affectionately known as the POCO Nuts) into a frenzy. 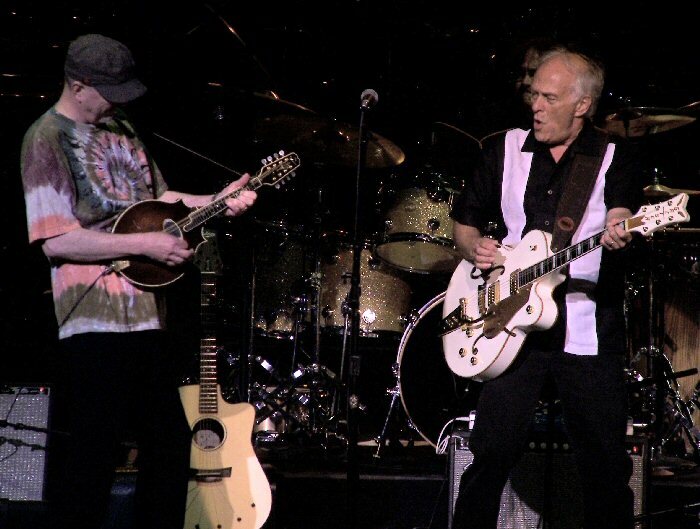 In April, the current quartet of POCO (Rusty Young, Paul Cotton, Jack Sundrud & George Lawrence) convened a country rock reunion in California and were joined on stage by former influential band members Richie Furay (Buffalo Springfield/Rock and Roll Hall of Famer), Jim Messina (Loggins and Messina), Timothy B. Schmit (The Eagles), and founding drummer George Grantham for a celebration of their music and friendship. Young and Cotton have carried the mantle of the POCO brand for thirty years. For fans, getting these musicians onstage together had been a fantastic longtime dream. Making the day even more historic - and possibly miraculous - was the return of Grantham who had suffered a severe stroke while drumming for the band in 2003 in Western Massachusetts. All these past participants, minus Schmit, would join the band for their weekend shows in Bethel, New Jersey and Long Island on the Loggins and Messina tour - making for a powerful POCO weekend. As for the concert - the three prominent shows in the New York City region were probably the highest profile gigs for the band since their last attempt at a reunion in 1989 with the Legacy album and tour. The band delivered an hour's worth of high quality countrified rock and things got kicked up a notch when Furay joined them onstage for "Pickin' up The Pieces". Rusty Young sang lead on "Call It Love" which took an extended Bo Diddley break that electrified the crowd. The band's two biggest hits "Crazy Love" and "Heart Of The Night" were played back to back to a nice reception and included an enthusiastic sing along. 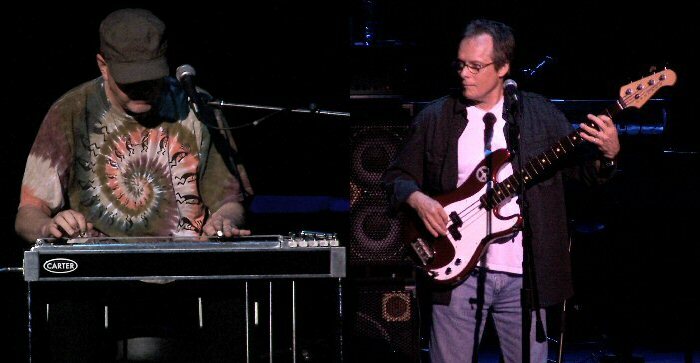 Furay's "Kind Woman" was enhanced by Young's plaintive and poignant pedal steel proving the band's greater versatility as a five-piece. The POCO Quartet: Rusty Young, George Lawrence, Paul Cotton & Jack Sundrud. 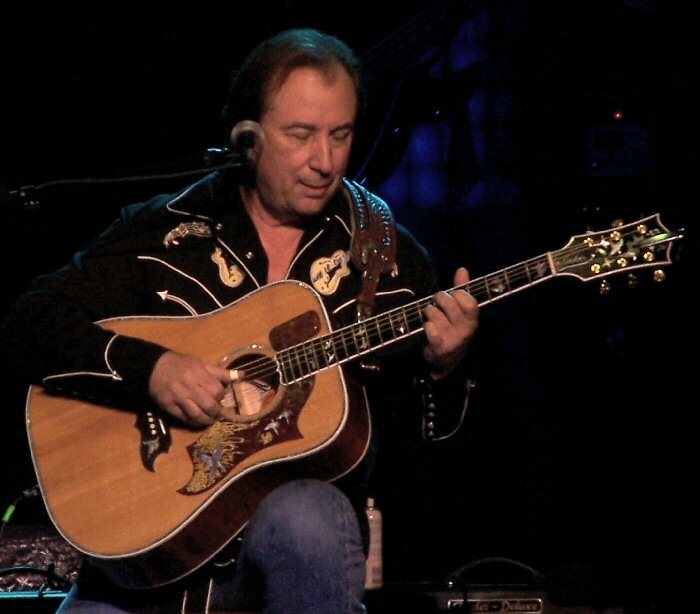 POCO's intoxicating hour-long set (too short by all accounts) was topped off when half of the headline act Jim Messina joined the band for a take on his most famous POCO number "You Better Think Twice". Rusty Young on pedal steel; Jack Sundrud solid on bass. The spirit of Woodstock also lives on at the campus of Bethel Woods. The venue opened in 2007 and the museum followed a year later in 2008. In 2009, the organization that runs the museum is expanding their mission by offering more exhibits, special events and educational opportunities. Since its opening the museum has attracted over 100,000 visitors, according to Mike Egan, the former CEO of the Bethel Woods Museum Development Group and "has shared the story of the 60's and the story of Woodstock and the legacy of those things today." 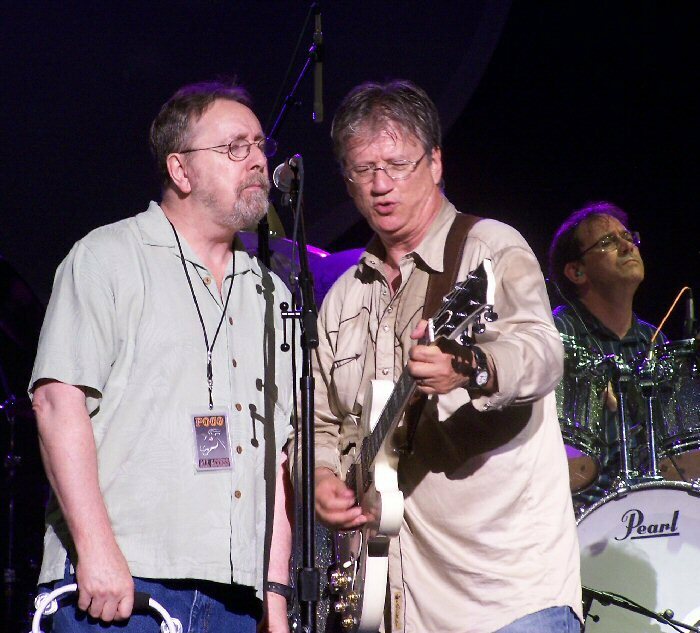 George Grantham, Richie Furay and George Lawrence at the PNC (Photo by Danny Lynch). 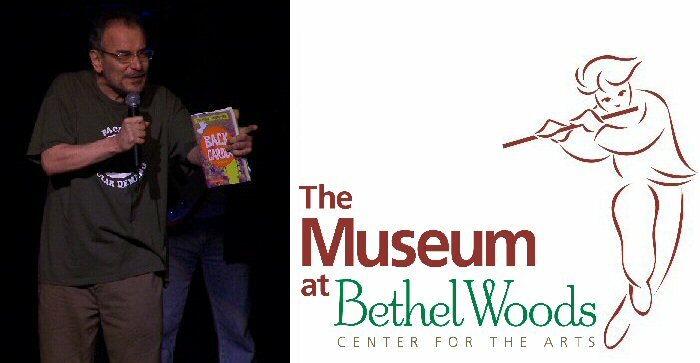 "The museum is now getting into other initiatives," Egan continued while emceeing another special POCO event on the day of their concert at Bethel Woods (a live radio interview with Richie Furay for Pete Fornatale's "Mixed Bag" program). Mike described how the museum has added additional exhibits like the John Lennon/Yoko Ono "Bed Peace" photo display and is now seeking to create educational programs with regional teachers based on the lessons of the 60's. "We are pushing the mission of telling the story of Woodstock into new venues." Egan then turned the mic over to Fornatale - the legendary New York based disc jockey who came to prominence on the now defunct WNEW-FM radio station. Fornatale is also an author and - in addition taping the show with Furay and introducing both bands at the evening's concert - he was promoting his own historical account of Woodstock called Back to the Garden: The Story of Woodstock. The book contains plenty of stories from the weekend concert, as well as original interviews he conducted with The Who's Roger Daltry, Joan Baez, David Crosby, Richie Havens, Joe Cocker, organizers, and fans. POCO founding member Jim Messina joined his old mates for one song. Fornatale spent the next hour asking Richie about his days in POCO, watching the Eagles thrive in the genre his band helped create, going solo, and making a foray back into touring and recording in recent years. Furay had left the music industry in the 80's becoming a born again Christian and a pastor of his own Calvary Chapel in Broomfield, Colorado. The final portion of Fornatale's three part interview focused on Furay's most recent recordings including two worship CD's and the well received Heartbeat of Love -- a return to Richie's brand of uptempo joyful country rock which featured many great guests including Timothy B. Schmit, Neil Young, Kenny Loggins, Paul Cotton, Rusty Young, Scott Sellen, Stephen Stills, Mark Volman and more. Furay also played some acoustic numbers to round out the show. It'll be interesting to see if Furay can find more time for POCO as the years unfold. Going by the turnout to the weekend's performances it's obvious that more fans flock to the band's shows when Richie is present in the lineup. His presence in the band moving forward could be a way for him to elevate himself back to the mainstream while increasing his own flock in the process. We all know the parable of mustard seed. What about the power of the POCO Nut? It seems that some new seed was planted with these special shows that got the legendary country band back to its roots - now we'll just have to wait and see what grows from here. Pete Fornatale - author, disc jockey and POCO fan - introduced the band.